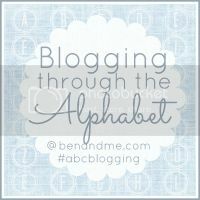 This week for my Blogging through the Alphabet post with Marcy from Ben and Me, I thought I would write a little about chiropractic and me! And share some exciting news! Why talk about chiropractic? Well, because I am a chiropractor! Many do not know this fact about me, because I don’t talk about it very much on the blog. Although, I may start because I seem to be getting more and more questions about it. Of course, if you read my Office Schooling series of posts, you also know the kids go to the office with us! Now here comes the exciting news I alluded to in my first paragraph… the kids and I are home in the mornings now! This week is our second week! We are all very excited! While I am thankful we were able to make office schooling work and continue doing school with the kids instead of putting them in a school building… it was never going to be a permanent situation. We needed a new person at the front desk at our office and instead of hiring someone (in the midst of a computer system change), we decided it would be best if I come in and take over things for awhile. In hindsight, it was really the best decision for us. So, now we have our mornings at home… Going back to doing “home” schooling the way we want to do it. My time won’t have to be divided between patients and the kids. So far, it is going great! We are still trying to organize everything at home. ALL our school stuff was brought to the office, so we are trying to organize it back at home now. We do still go in the office in the afternoon as a family, but all the schoolwork for the day is done!! Okay! Thanks for listening to my great news and sharing in my joy! I can’t express how excited I am that the kids and I are back home in the mornings!